There is a lot to like about the Fujifilm X-A3, and as usual for Fujifilm, we have been impressed by the image quality that it is capable of producing - perhaps even more impressive when you consider that the sensor is not the higher quality X-Trans as found on Fujifilm’s more expensive models. Although undeniably cheaper quality than the more expensive models in the range, Fujifilm has done a good job with the design here to still make it appealing - especially of course to those who are a fan of retro or old fashioned styling. There’s a good range of dials and buttons to make changing settings quick and easy, and although this is arguably a camera aimed primarily at entry-level users, it’s got just enough direct access to make it enjoyable for more advanced users to pick up and use too - perhaps it would make a good secondary camera for somebody who already uses the X system. Although there’s no viewfinder, the screen is great as it can be moved into a variety of different positions, and the fact that it can be used as a touchscreen is another bonus. The kit lens which comes with the Fujifilm X-A3 is a good optic to get you started with, and although not as good as the 18-55mm f/2.8-4 kit lens supplied with more expensive cameras in Fujifilm’s line-up, it is more than capable of producing some very nice images. In terms of the downsides, there’s not too many to be found with this camera - but if you are looking for 4K video recording you may be disappointed. It’s also a touch expensive, currently retailing for around £550 (including kit lens) - by Fujifilm standards it’s on the cheap side, but you can pick up other cameras, such as the Panasonic GX800 for less (currently around £499, including kit lens). Ultimately, Fujifilm has produced a very attractive camera for beginner users - especially those drawn to the stylish brand. 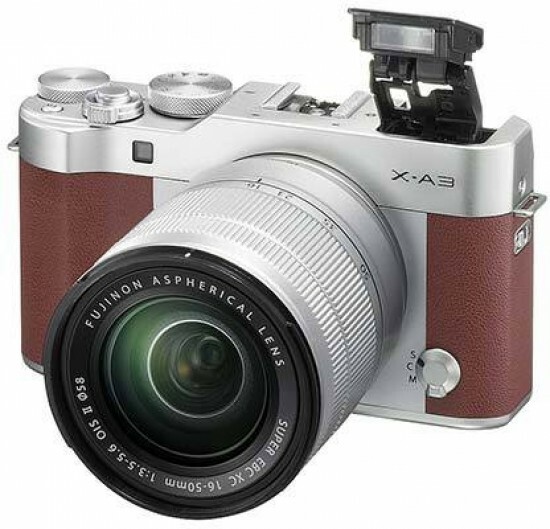 Image quality is great, and the Fujifilm X-A3 is a camera that you can grow with as you learn more about photography.